Ever since Facebook has gained massive popularity, marketers and business owners have started to realize that they need to be promoting their businesses on Facebook. If you have yet to establish a Facebook presence for your business, there is no better time than right now. And with the help of a premade template, it won’t be hard at all! 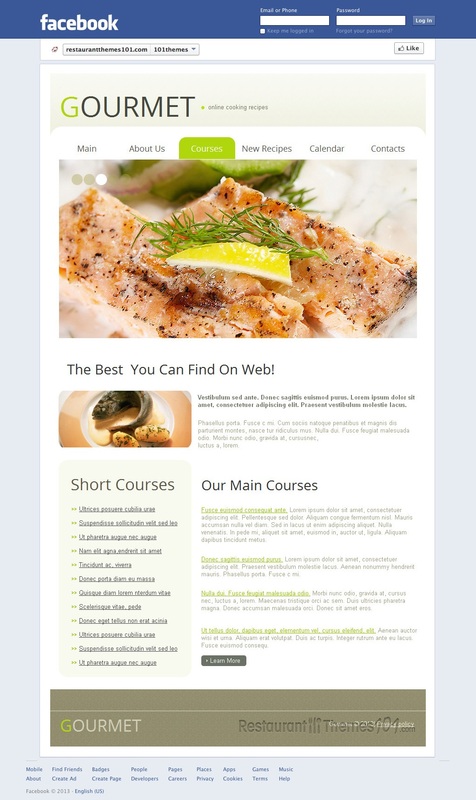 Gourmet uses simplistic yet elegant design elements to add an air of classiness and cleanliness to your Facebook restaurant page. 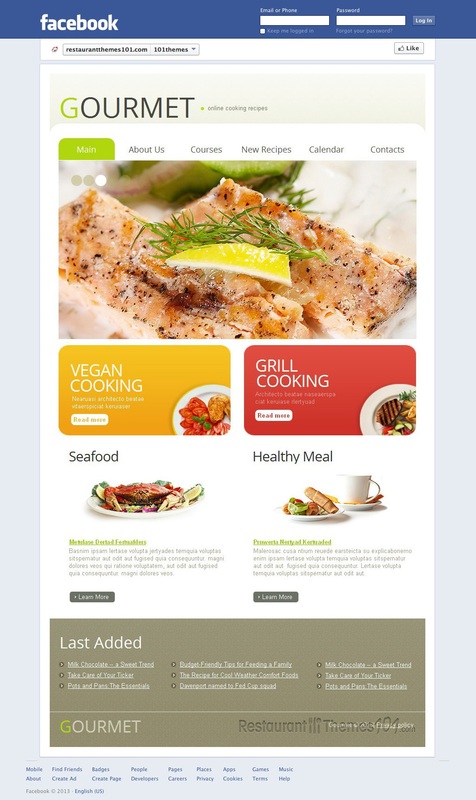 It features a simple text-based menu at the top, under which is a large image slider (where you can show off your culinary masterpieces!) Under the image slider is space to place 2-4+ thumbnail images with descriptions and links. 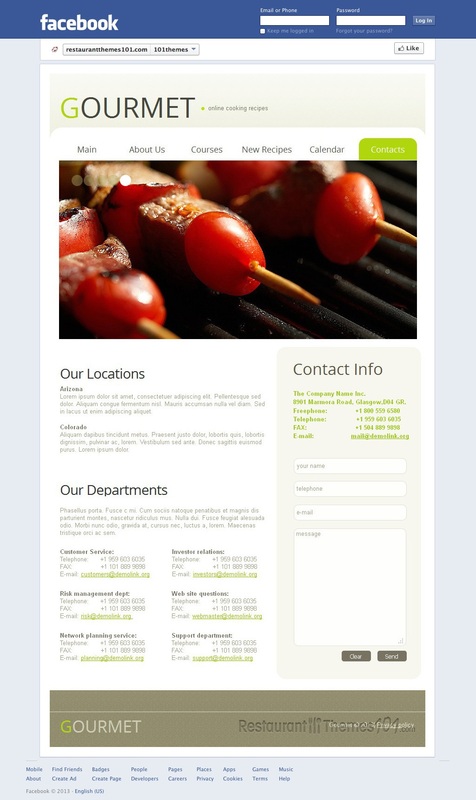 You can choose what you want to put here, but it would be a great place to display snippets from your menu. 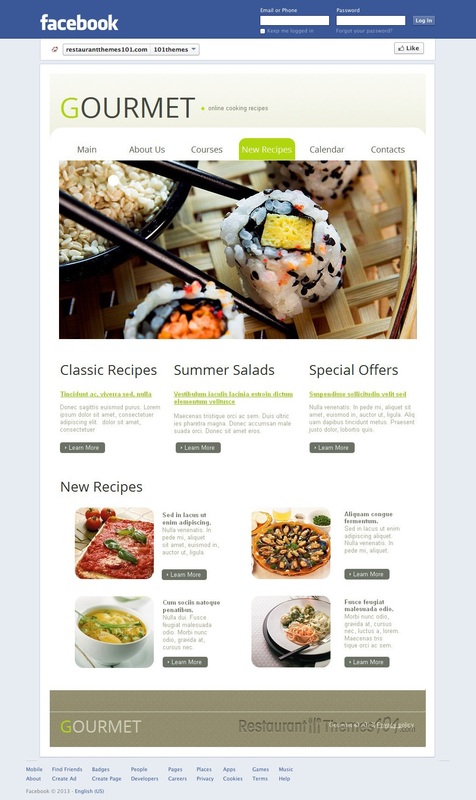 For those that like the look and feel of Gourmet, you will be happy to learn that the same developer has made a matching WordPress theme! 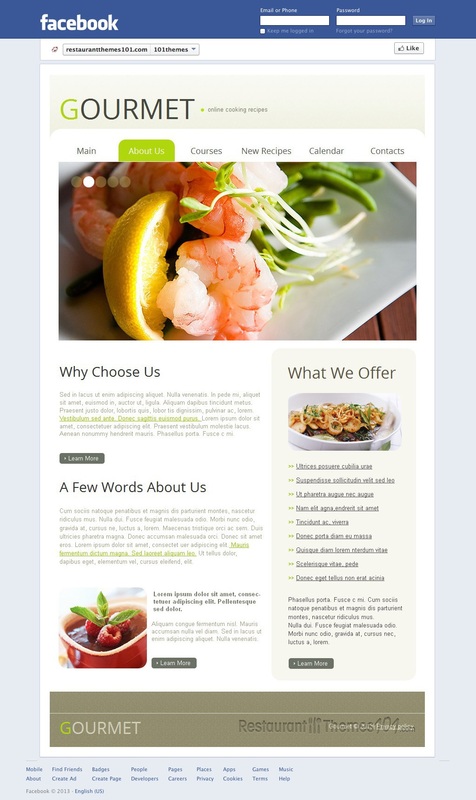 Gourmet is powered by Moto CMS, which is a feature-rich content management system that allows you to add and edit content with ease. Instead of having to comb through page upon page of mind-numbing code to edit something, you can simply use the Moto CMS control panel to edit or remove content. In fact, everything is controlled via a simple control panel. 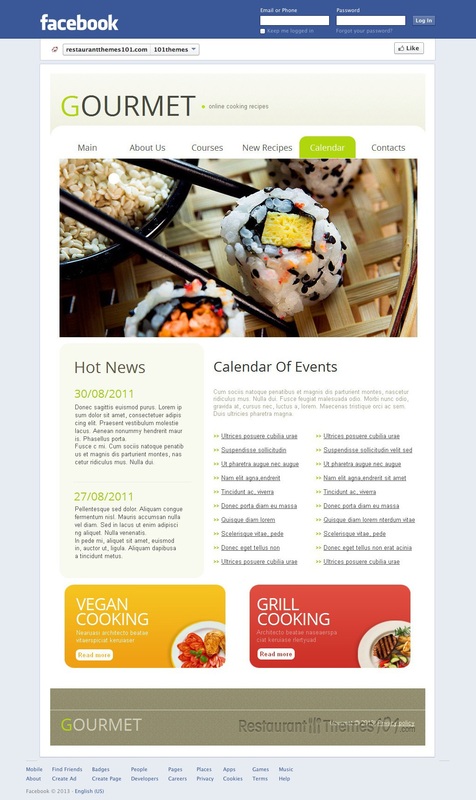 Moto CMS makes it so easy to edit and add content that you can literally have a great Facebook restaurant page up within a few minutes, even if you don’t know anything about web development!